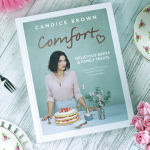 If you follow me on my social media or keep up with my latest posts here on my website, you may have seen that I’ve been super busy creating lot’s of cake orders as well as guest blogging for Cake Bag and creating recipes & tutorials for my own website too! Juggling all this along with a full time job, plus fitting in time to eat, sleep, do housework and make time to socialise with friends, family and take time out to relax enjoying some me time can be tricky if you don’t plan ahead! Believe me, I have had times where I just want to wind down and chill but I have a cake to finish in time for a deadline & have got myself stressed to the point of having a meltdown!! 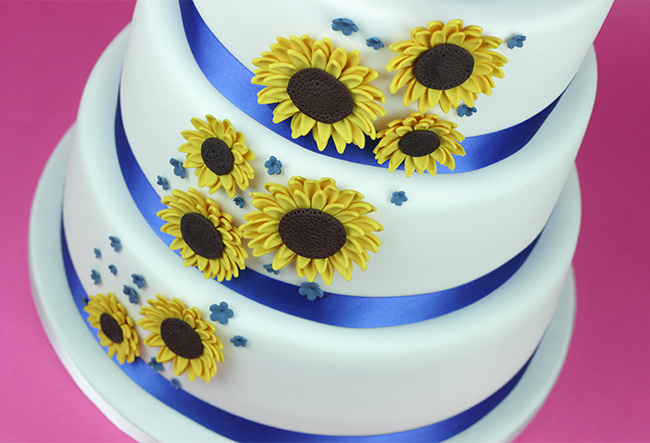 You may think running a cake business sounds like heaven, getting to bake all day creating masterpieces surrounded by buttercream & sprinkles and don’t get me wrong…I love it when I have everything running smoothly and on time. 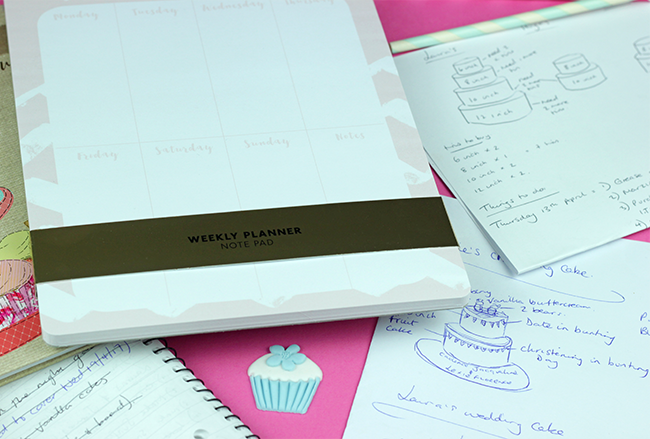 Plus being in charge of everything from production, quality control, photography, planning posts for blogging, writing, editing, proof reading and scheduling takes a lot of time so planning ahead is essential. 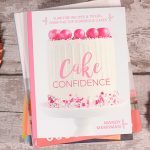 It has sometimes resulted in me wanting to throw in the towel altogether and give up caking (which is my true passion in life!!) but after some thought, I’ve always picked myself up and kept at it because I love creating cakes for people’s celebrations. 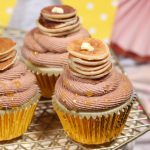 It’s my creative outlet which I need in my life & I love making something that people can enjoy at their events, not only something stunning to look at but tastes amazing too! So over time I’ve learnt that forward planning is the key to executing my cakes successfully so I can enjoy creating them without getting stressed. 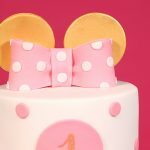 People have asked me how long in advance do cakes need to be started in order to complete in time for a celebration, such as a wedding day or birthday and I’ve given them tips & tricks and thought I would share how I plan ahead in this post. First and foremost, my diary is my friend! When clients contact me and confirm their order, I jot down all the details in my diary immediately. This means that any further enquiries I receive can fit into my schedule and I can make sure I don’t over book myself with orders. I don’t ever want to be in a situation where I’m up all day and night completing my creations to the point of exhaustion. The second thing is lists! I list EVERYTHING. 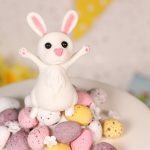 If I don’t….my brain goes into listing overdrive and it starts going through an itinerary of tasks that I need to complete for cake creations. 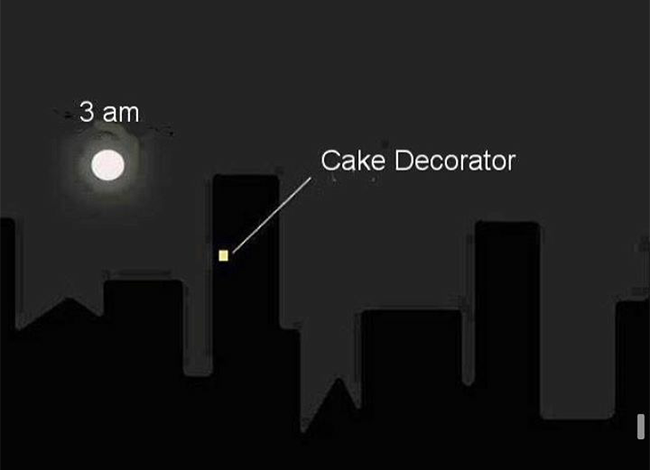 It can happen throughout the days leading up to said cakes & then continue in my head when I’m lying in bed and I loose my precious sleep….not good! 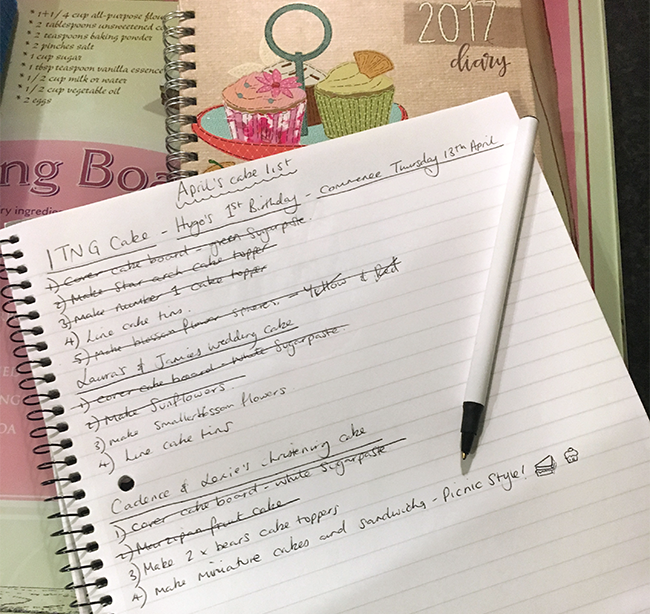 So listing each step for every cake order, I plan to make, helps get it out of my head onto paper and I know it’s all there, organised, ready so I can break it down for each day into smaller chunks to complete. When I’ve completed the task, I cross it off and can review whats next and plan in for my next session. 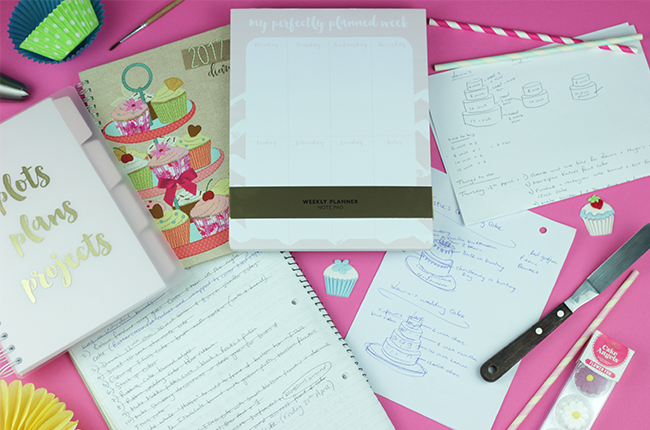 I also invested in some cute planners recently where I can write my lists and draw up cake designs so everything is together in one place, otherwise I end up drawing designs on individual pieces of paper that can end up anywhere in my house or handbag!! The weekly planner note pad is from Sainsburys. 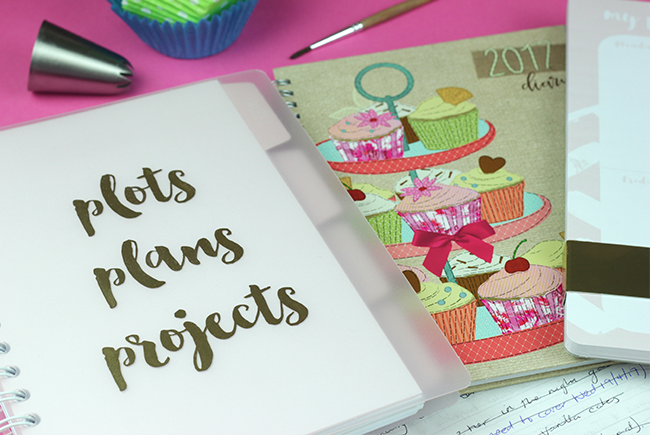 It’s so handy as I can plan out my weeks much better to fit in orders, blog posts & ideas as well as shopping lists and other tasks that need completing. 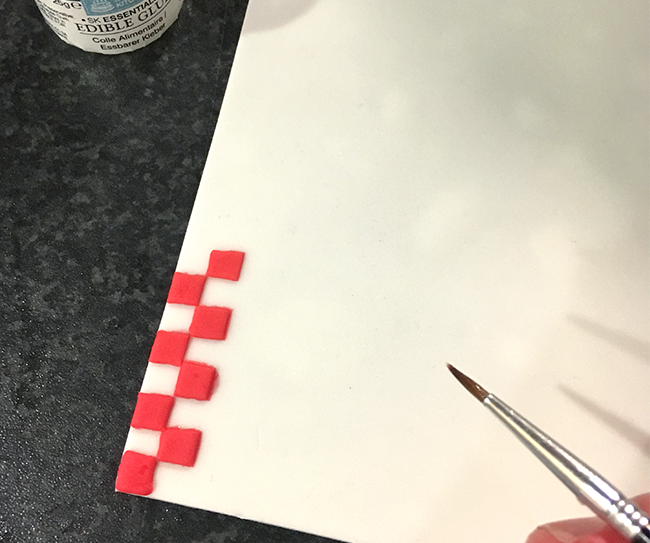 The third thing I do after scheduling an order into my diary and making my lists is getting to work on the things I can create for my cakes in advance. 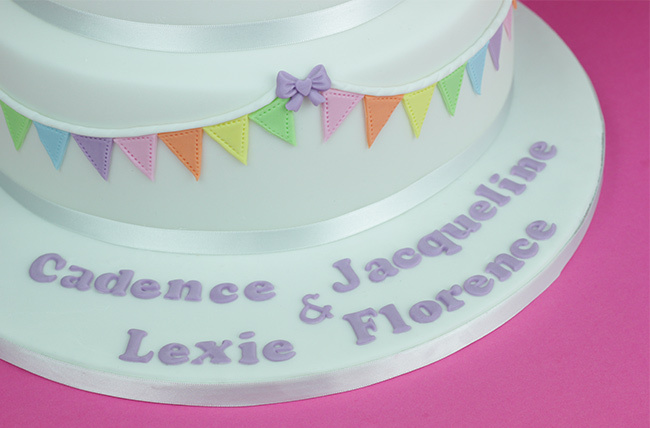 The first thing I get to work on is purchasing all my cake boards, boxes & fondant icing. 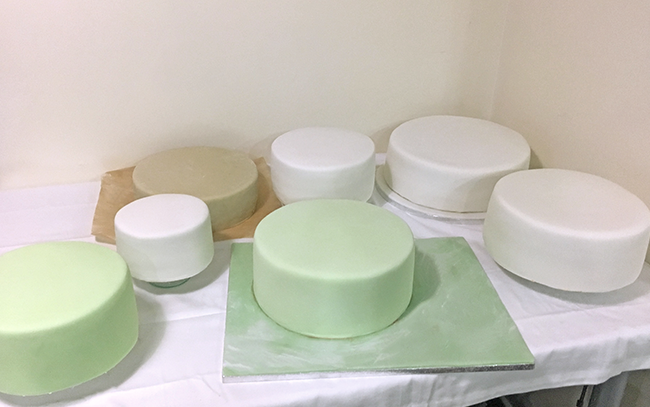 I tend to cover the cake board in the icing at least a week before the cake is due, this way the icing has time to dry enough without me ruining it with dents when I get to the stage of placing the cake on the board & icing it. 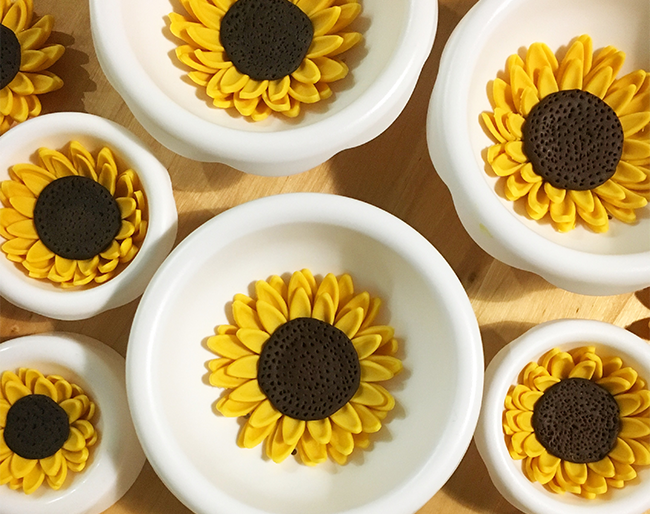 I also like to start making any handmade cake toppers, decorations and flowers the week before the baking starts too as I like to have enough time to fix anything that breaks which can happen when attaching delicate sugar flowers to cakes. Plus making the decorations in advance allows time for them to dry and harden. This also means I’m not creating everything in the week that I’m baking and gives me time to relax and wind down! 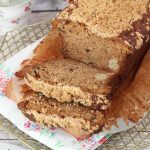 Fruitcake can always be baked well in advance as the flavour gets better with age and you can feed it with alcohol which also prevents it from drying out. 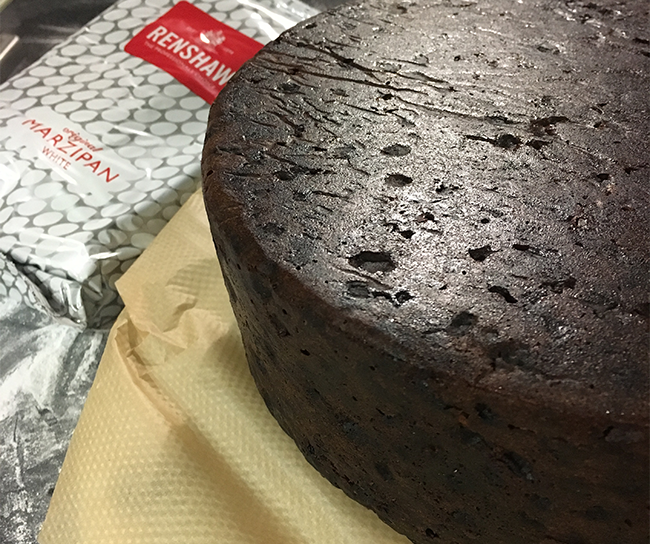 I Marzipan my fruitcakes 4 – 5 days before I cover it in fondant icing to allow it to dry at room temperature. 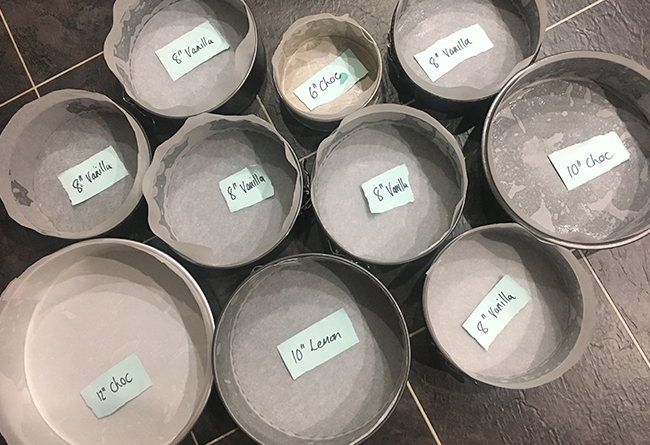 Once all the cakes are iced, I leave them to dry before dowelling and stacking so the icing doesn’t get dented and ruined when I’m creating tiered cakes. 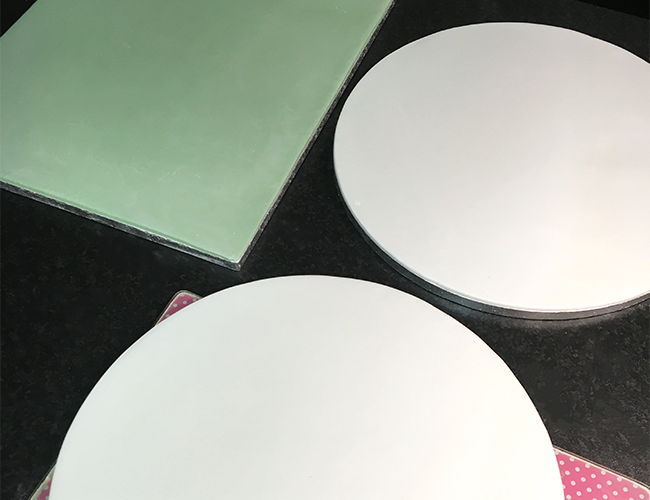 Once they are stacked, I clean up any icing sugar and buttercream on the cakes & iced cake boards using a large fanned paintbrush and clear alcohol as this evaporates as it dries. 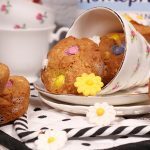 You can also invest in a cake steamer to remove unwanted icing sugar or cornflour from cakes which I’m seriously considering to buy as I would most likely get a lot of use out of one of these!! Once my cakes are stacked, the fun part of decorating the blank canvas begins. I like to allow myself 2 days (or 2 evenings in my case the majority of the time!!) 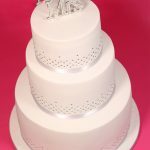 to add the pre-made toppers, ribbons & sugar flowers etc…. 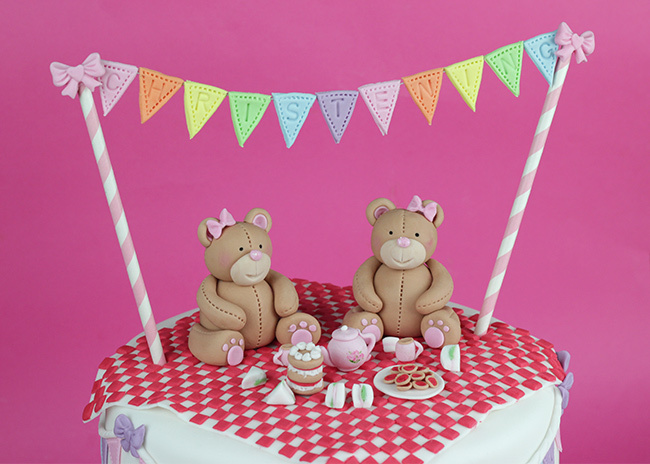 Then I can make any decorations that can only be added to my cakes last minute such as this picnic blanket as I needed to add the creases and folds, to give it a realistic feel once it was attached to the cake, before the sugar modelling paste dried out! I also make and attach sugar decorations that need to be pliable to attach to the curves of a round cake at this stage too! 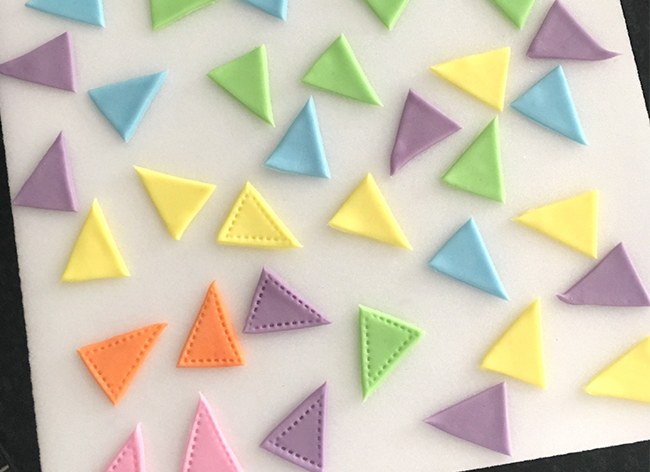 Once the cakes are decorated, I like to leave them over night so the edible glue that I use to attach the decorations have time to dry out then I know that the cakes are safe to move to the area where I photograph them in my kitchen. I have lighting that I have to set up for every photo session that I complete to get the best photo’s of my creations to use here, on my website and on my social media! 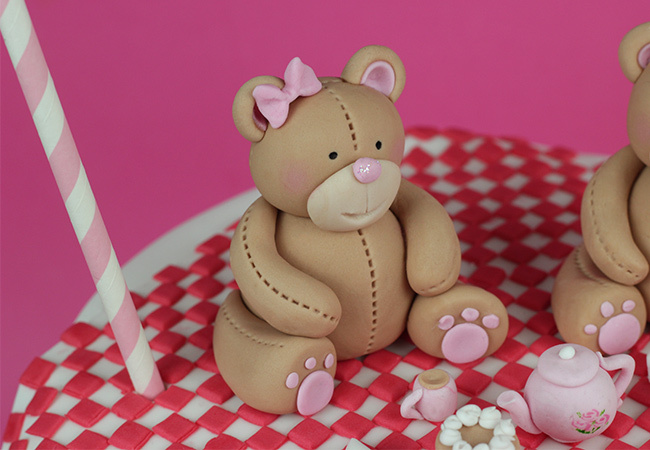 Then I can spend some time uploading & editing my photo’s ready to post before the cakes go off to their new homes! In between the baking and cake decorating, I have a lot of cleaning up to do in my kitchen too. At the end of every session I will wash up, load the dishwasher, wipe down the sides, sweep up, hoover and mop the floor before heading off to chill. 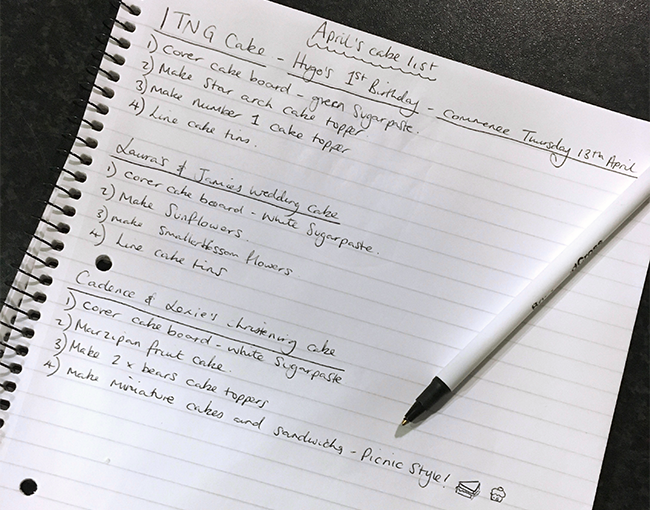 As you can see, there is a LOT of forward planning that goes into every cake and post I create and this is the only way for me to keep everything under control so I’m not rushing around last minute before the cakes get collected and it also means I can enjoy taking the time to create everything meticulously and take my time on more intricate details of cake decorating which I find rather therapeutic. 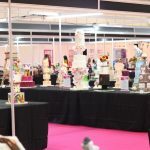 I hope this little insight into what goes into making all my cakes helps you if you are thinking of starting a cake business or even if you are making a wedding cake for your own big day or for a friend or relative – it will hopefully give you an idea of how far in advance to plan your bakes and take the stresses away so you can focus on the other important aspects of your event or life. 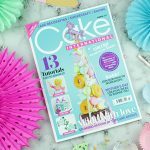 I love creating cakes for any occasion and I love sharing recipes and tutorials too! 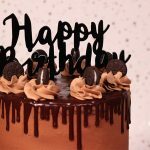 If you have any cakes you would like me to make for a celebration or have any cake related questions you can drop me an e-mail: orders@cakeygoodness.co.uk or leave a comment down below!